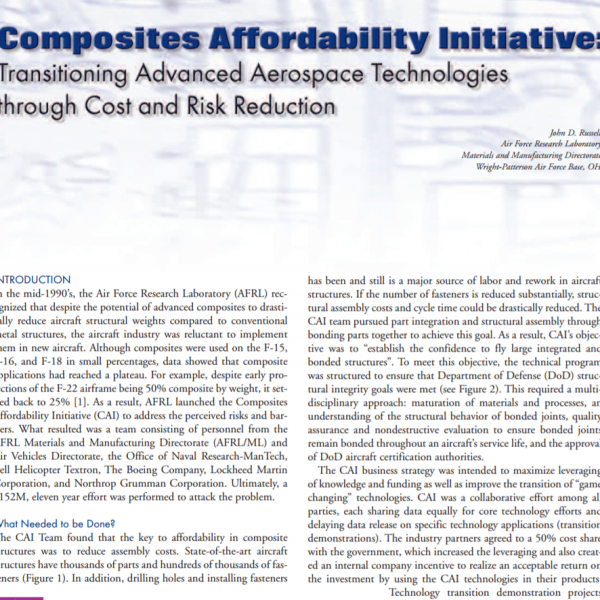 CAI: Transitioning Advanced Aerospace Technologies Through Cost and Risk Reduction | ESRD | Engineering Software Research and Development, Inc.
Abstract: Conventional analysis methods for bonded joints were found to be limited in their capabilities and accuracy. For instance, A4EI, a computer code for bonded joint analysis, is only applicable to adhesive failures in shear-loaded joints and does not account for peel stresses or for potential adherend failures. 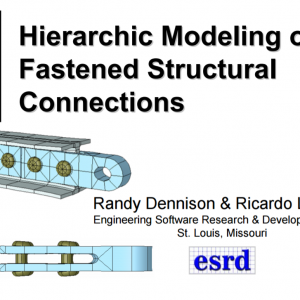 To date, the only alternative to these limitations has been to develop detailed finite element models of a joint. This approach is time consuming and requires great skill and care by the analyst to ensure stresses and strains in critical locations of the joint are properly quantified. Small errors in modeling can lead to substantial errors in joint performance prediction. 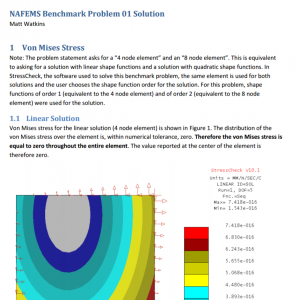 To alleviate these problems, the CAI team implemented improvements to the StressCheck® P-version finite element software, including the incorporation of a strain invariant failure theory. 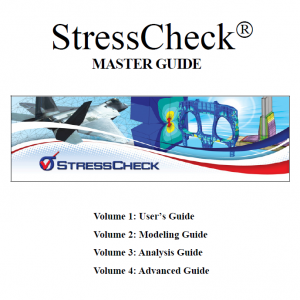 The StressCheck® tool handbook function was used to expertly model typical joints, thereby developing reusable joint models including: single lap shear; double lap shear; scarfed lap shear; and step lap joints for in-plane loading; as well as a pi and back-to-back angle joints for out-of-plane loading. These handbooks are parameterized so that similar joints in the future can be modeled by simply updating geometric parameters of the existing model. StressCheck® will then automatically remesh the model, calculate results, check for convergence problems in the new joint configuration, and even post-process the results. Categories: CAE Handbook, Composites Module, Linear Elasticity Solver, Non-Linear Solver, Simulation Technology, StressCheck Core, StressCheck Powered Apps, StressCheck Professional. 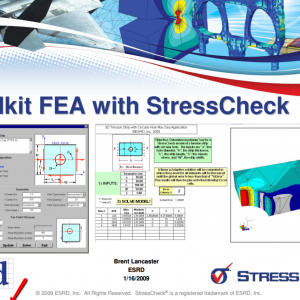 Tags: Detailed Stress, Laminated Composites, Nonlinear Stress, Simulation Apps.